Killer Characters: Andi Unexpected- Agatha Award Nominee! Andi Unexpected- Agatha Award Nominee! I can’t believe it! 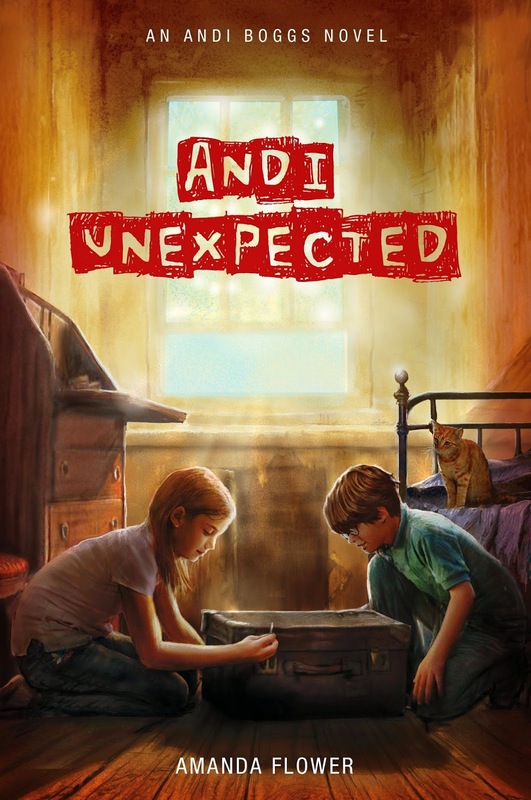 My biography, Andi Unexpected, written by Amanda Flower has been nominated for an Agatha award for best children’s/YA mystery! I’m totally shocked. How can a story about me get that much attention? Maybe it did because it’s not really about me at all but about the first Andora. Thanks to everyone who nominated the book! I’m so excited to have my biography to be among so many great mysteries for kids. I'm excited too about the Agatha banquet. Amanda is too although she is nervous about finding the perfect outfit. If it were me, I would just wear one of my science camp tees and jeans, but Amanda said she has to dress like a grown up. I’m sure glad I’m not a grown up yet. Wow that is fantastic, congrats! Excited for you! I must still be a kid at heart because I loved it!! !